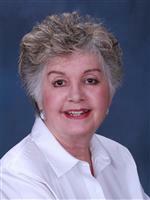 I have been assisting buyers and sellers in Incline Village since 1990. I know the market and have a thorough understanding of the selling and buying process so that I can meet your unique needs with personal, professional service. To keep up with continuing changes, laws and procedures I continue to educate myself with updated courses in all areas of my real estate business. I am a licensed Nevada Broker Salesman and have earned the Graduate Realtors Institute (GRI), the Short Sale and Foreclosure Resource Certification (SFR) and hold the prestigious Certified Residential Specialist (CRS) designation. As member of the National Association of Realtors and the Nevada Association of Realtors I have served on many state and local committees and was President of the Incline Village Board of Realtors and had the honor of receiving the IV Realtor of the Year Award. I believe in giving service to my industry because in the long run it helps you the consumer . My goal is to be sure you understand all the steps in selling and buying your home, to always be available to answer any questions you may have and to make your move as stress free as possible.